Known for his gimmick as The Dragon, he has spent most of his career in New Japan Pro Wrestling. He made his professional debut on May 9, 1971. He has won Wrestling Observer Newsletter's award for best technical wrestler multiple times. 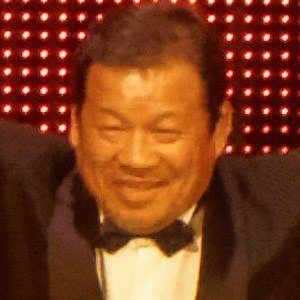 His son, Leona Fujinama, is also a successful wrestler. He was well known for defending his NWA World Heavyweight title against legend Ric Flair.